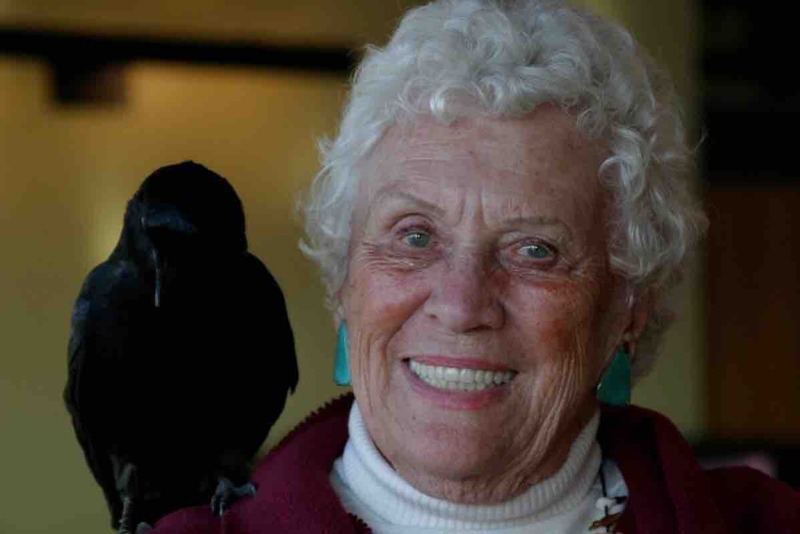 Jean Craighead George wrote over 100 books connecting children to the natural world! This Penn State alumna and Newbery Award winning author would have been 100 in July. I'd love to be able to celebrate her gifts with this gift to the Children's Garden at the Penn State Arboretum in her honor & with your help - #WeAre going to do it! This fundraising project will honor Jean Craighead George, PSU Science ’41 and Liberal Arts ’41, with a commemorative bench in the Children’s Garden of the Penn State Arboretum this summer. 2019 is the 100th year celebration of Jean, who passed away in 2012 at the age of 92. After graduating from Penn State in 1941, Jean became a member of the White House press corps and a reporter for The Washington Post. A writer and editor of Readers Digest from 1969 to 1982 and an author of more than 100 books, Jean was named Woman of the Year by Penn State University in 1968. You might have read and/or read with your children, the Newbery Medal-winning Julie of the Wolves, inspired by Jean’s time at the Arctic Research Laboratory in Barrow, Alaska; a favorite of many, My Side of the Mountain; or its sequel On the Far Side of the Mountain, just to name a few. Please share with your networks of all who love nature, education, literature, and Penn State. If successful in exceeding the goal, additional proceeds will go towards commissioning sculpture artwork of one of the beloved animals in Jean’s books and/or sponsoring children’s literature programs. A very special thank you to Twig, Craig, and Luke George. Woohoo!! We did it. The bench will be a splendid addition to the children’s garden at the Penn State Arboretum. It’s location will be outside the cave - a great location to read, relax, and enjoy nature with your loved ones. Please keep the campaign going and growing! Additional funds will be used for a bronze sculpture of one of Jean’s beloved creatures, programming, and JCG books to stock the library in the garden. Thank you to everyone for supporting and sharing! #WeAre over half way there! Woohoo! My heart is so full of joy. I love reading everyone’s comments about how Jean and her books touched their lives. Magical. Please help to keep the momentum going!